Princeton University Press, 1988. 1st. Cloth. Collectible; Very Good/Very Good. A solid copy of the 1988 1st edition. Tight and VG (with light wear at the spine base and light foxing to the fore-edge) in a bright, VG dustjacket, with a 1 1/2" chip at the foot of the spine. Still though, a very presentable copy. Octavo, 333 pgs. Dublin: Stationery Office for the Irish Manuscripts Commission, 1959. 1st. Cloth. Collectible; Very Good. The 1959 1st edition of this "collection of documents relating to Ireland in the years 1578 and 1579". Solid and VG in its wine-red cloth, with bright-gilt lettering along the spine. Very light spotting to the panels, otherwise clean as could be. Octavo, 279 pgs. New York: Fordham University Press, 1930. 1st. Cloth. Collectible; Very Good. A sharp copy of the 1930 1st edition. Clean and VG in its duotone cloth, with bright gilt-lettering along the spine. Very light bumping at the tips, otherwise clean as could be. Octavo, 198 pgs. De Gruyter. Cloth. As New. "Nach Vorarbeiten F. Winkelmanns erstellt von Ralph-Johannes Lilie/Claudia Ludwig/Thomas pratsch/Ilse Rochow/Beate Zielke u.a." An As New copy, still in its original shrinkwrap. Thick octavo, laminate blue boards. Florence: Leo S. Olschki Editore, 1992. 1st. Original Wraps. Collectible; Very Good. The 1992 1st edition. Tight, solid and VG in its printed wrappers, with very light staining at the front panel. Octavo, 245 pgs. Text in English. Orientalia Venetiana IV. England: Tempus Publishing, 2007. 1st. Original Wraps. Collectible; Fine. A crisp, clean copy of the 2007 edition. Bright and Near Fine in its pictorial wrappers, with one tiny bump at the front panel's upper corner. Octavo, 222 pgs. London: The Athlone Press, 1993. Cloth. Collectible; Fine/Fine. A clean, crisp copy of the 1993 1st edition. Tight and Near Fine in a bright, Near Fine dustjacket. Octavo, 321 pgs. Princeton University Press, 1913. 1st. Cloth. Collectible; Fine/Very Good. The 1913 1st edition, IN ITS UNCOMMON PRINTED DUSTJACKET. Clean and Near Fine in a bright, VG dustjacket, with light chipping to the spine ends and tips and light offsetting and soiling at the panels. 12mo, 109 pgs., top-edge gilt. A number of the pages uncut. London: Cassell & Co, 1892. 1st. Cloth. Collectible; Very Good. The 1892 1st Series (consisting of Vols. I & II) and the 1894 2nd Series (consisting of Vols. I & II). 4 volumes all told, all cleanly ex-libris, all in solid, VG condition. Navy-blue cloth bindings, bright gilt-lettering to each volume. Each title page has a discreet blindstamp ("Hartford Bar Library") and each front pastedown has a handsome institutional bookplate. Thick octavos, over 1,500 pgs. all told. Loose frontispiece to Vol. I, Series I, otherwise very tight and well-preserved. New York: Samuel L.M. Barlow, 1875. Original Wraps. Collectible; Very Good. First Thus. The 1875 "text in fac-simile" of Christopher Columbus's 1493 letter to "Noble Lord Raphael or Gabriel Sanxis, Treasurer of King Ferdinand". 1 of only 50 copies printed. Translated from its original Spanish into Latin. Photo-lithographed by Julius Bien. A well-preserved and VG octavo in its folded sheets. Loosely-bound, as issued. Light offsetting at the rear panel's lower-edge, otherwise very clean. Housed in a folding brown chemise, which has kept the fragile facsimile in nice condition. Oxford University Press, 1986. 1st. Cloth. Collectible; Fine/Fine. A crisp, clean copy of the 1986 1st edition. Near Fine in a bright, Near Fine dustjacket. Octavo, 289 pgs. 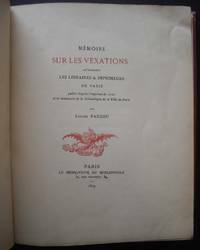 Paris: Le Moniteur Du Bibliophile, 1879. Collectible; Very Good. A clean, well-preserved copy of the 1879 1st thus. Handsomely rebound in a 1/4 light brown calf over russet cloth. Bright gilt-lettering along the spine, immaculate boards and endsheets. Tall octavo, 111 pgs. 1959. Half-Leather. Collectible; Very Good. 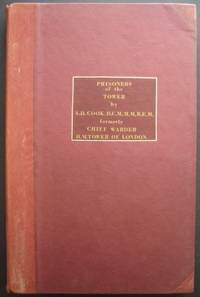 1959 photo-offset of the long-hand account of the former chief warder of the Tower of London, of all those imprisoned in the Tower, from Flamburd Runnald (Bishop of Durham) in 1101 to Rudolf Hess in 1941. ONLY 3 SETS OF THIS VALUABLE RECORD WERE MADE-- and all 3 were presented to American institutions. After the chief Warder's death, his widow presented the 2 manuscript books to the British military, which then authorized a few sets to be copied in photo-offset. 2 folio volumes, 247 handwritten pages. Clean and solid and VG+. Bound in 1/2 red morocco over red boards. Bright gilt-lettering and rule to the front panels. A wonderful piece of London history (and British criminology) and a rare glimpse into British attitudes toward punishment and imprisonent over the last milenium. Oxford University Press, 1993. 1st. Cloth. Collectible; Fine/Fine. A very handsome copy of the 1993 1st edition. Clean and Fine in a bright, Near Fine dustjacket. Thick octavo, 597 pgs. London: Eyre & Spottiswoode, 1939. 1st. Cloth. Collectible; Very Good/Very Good. The 1939 1st edition. Solid and VG in a bright, VG- dustjacket, with light soiling along the panels and 2" loss at the spine base. Octavo, 175 pgs. Oxford University Press, 1993. 1st. Cloth. Collectible; Fine/Fine. A very sharp copy of the 1993 1st edition of Vol. 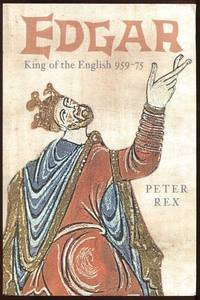 II of Oxford University Press's sweeping "A New History of Ireland". Clean and Near Fine in a bright, Near Fine dustjacket. Thick octavo, 1,002 pgs. Cambridge University Press, 2003. 1st. Cloth. Collectible; Fine/Fine. A very nice copy of the 2003 1st edition. Clean and Near Fine in a bright, Near Fine dustjacket. Thick octavo, 522 pgs. Cambridge University Press, 1997. 1st. Cloth. Collectible; Fine/Fine. The 1997 1st edition. Solid and Near Fine (with very light wear along the inner hinges) in a bright, Near Fine dustjacket. Octavo, 366 pgs. Part of the "Cambridge Studies in Medieval Life and Thought" series. Oxford University Press, 1993. 1st. Cloth. Collectible; Fine/Fine. A bright, well-preserved copy of the 1993 1st edition. Tight and Near Fine in a crisp, Near Fine dustjacket. Octavo, 374 pgs. 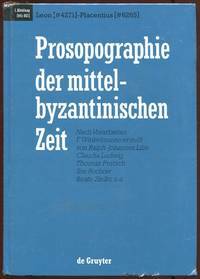 Cambridge University Press, 2002. 1st. Cloth. Collectible; Very Good/Fine. The 2002 1st edition. VG+ (with very light staining along the fore-edge) in a bright, Fine dustjacket. Octavo, 233 pgs.